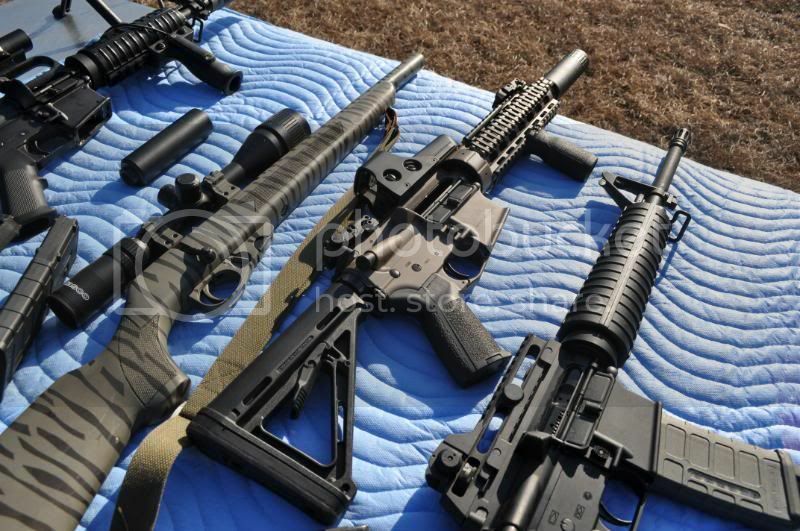 Innovative Arms LLC in Elgin, South Carolina is owned and operated by Phillip and Jenny Woodell. After 15 years as a machinist Phil brought his dream to life 5 years ago when he decided to quit his job and enter the firearms industry. Long hours, hard work, and alot of trial and error conformed his baffle design to a work of art. With the support of his wife Jenny and word of mouth, Phil has been able to make his living doing what he loves. One can truely appreciate knowing that they will be recieving a product that the owner/builder has poured his sweat and tears into and approves. Innovative Arms stands behind their products with a warranty that is second to none. This is a company that SureFire, Advanced Armament, and Gemtech better watch-out for. Core Design is Patent Pending. Innovative Arms provided a full line-up of suppressed and fully automatic weapons that were at my disposal to test and evaluate. I knew I was in for some fun. Phil was more than helpful in answering any questions I had. I learned more from Phil and Jenny in a few hours together than all my years of research online. 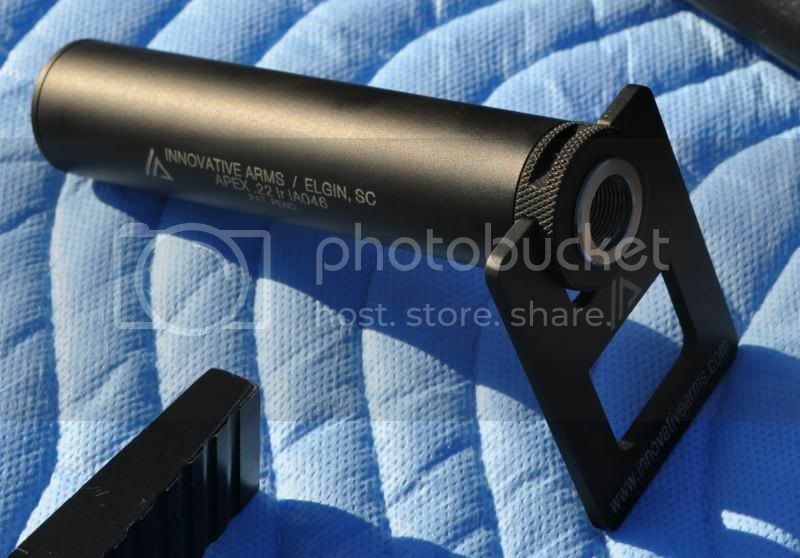 APEX .22 Cal Suppressor is made of 6061/7075 aluminum. 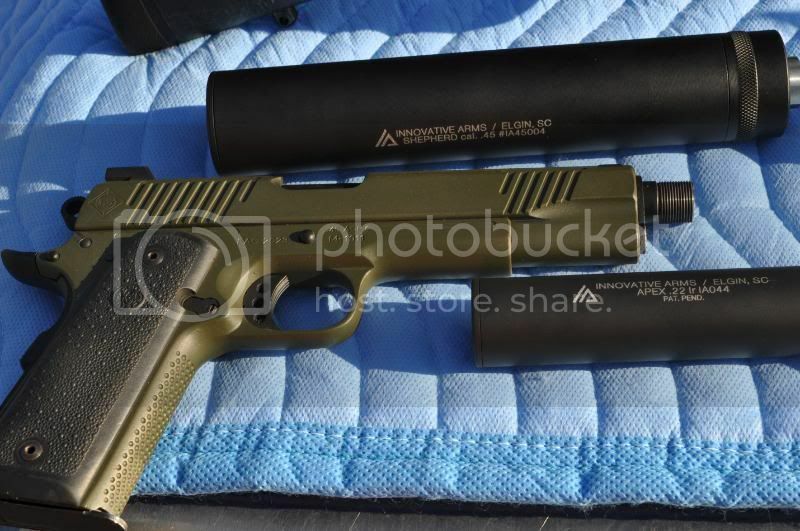 It is a serviceable suppressor and comes with everything needed to break it down and clean. It is 5.25" long and weighs in at 3.7 oz. It has a hard coat finish and is 1.125" in diameter. It has a excellent tone and is very quiet. This suppressor is a must have for any plinker or squirrel hunter. Take into consideration when watching these videos that we are surrounded by trees and most of the sound you hear is echo and sound bouncing off them. Even in this environment, you will still be able to get the point. Enjoy! The GRUNT is 6.25" long and weighs 18 oz. The outside diameter is 1.5". It has a billet one piece core and is availible in Earth, OD, and Matte Black. The GRUNT mini comes in at roughly 5" long, 14 oz. and has a 1.5" outside diameter. It also has a billet one piece core and is availible in Earth, OD, and Matte Black both are priced at $595. The GRUNT mini ran wet reduces the "first round pop" associated with any suppressor. 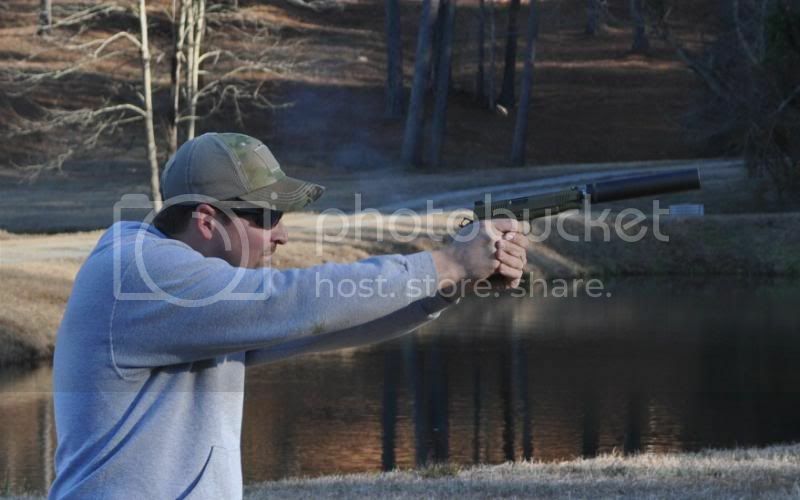 You can see the water vapor in the first couple of shots then the suppressor gets quieter with every shot after. 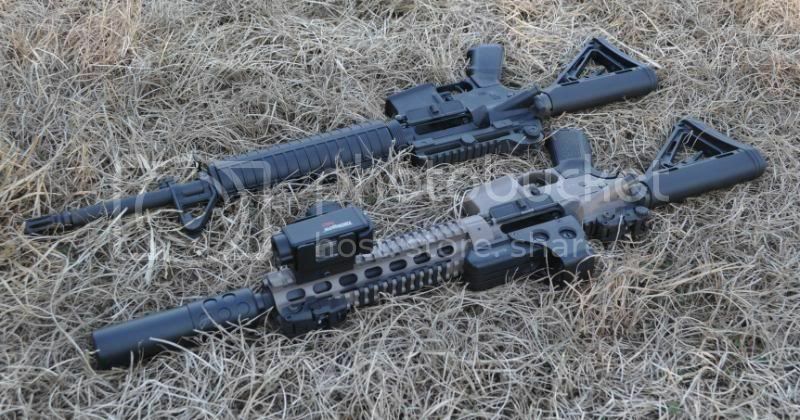 The mini is 5" long which is a good choice if you would like to keep your SBR or rifle as short as possible. The GRUNT suppressor has a pleasant tone. It is very comfortable to shoot without hearing protection even on a 10.5 SBR. It alleviates all the flash and reduces recoil drastically. 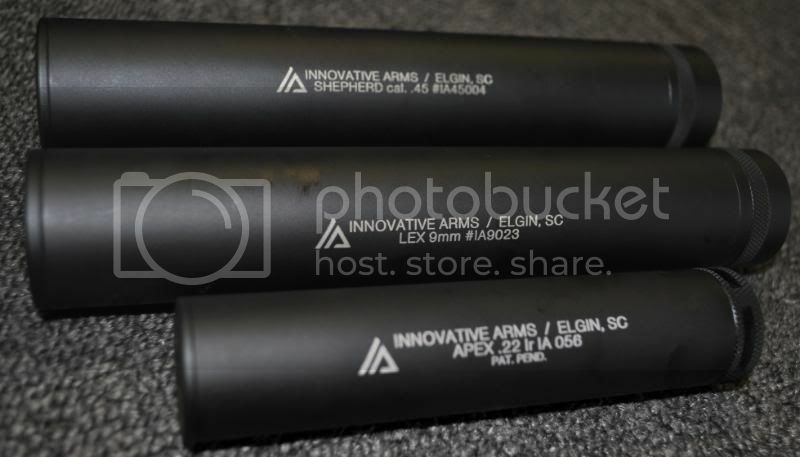 If you are in the market for a 5.56 suppressor, I wouldn't look past this one. At $595 "well under its competitors" I personally think its a steal. I will be doing the paperwork on one of these in the near future. 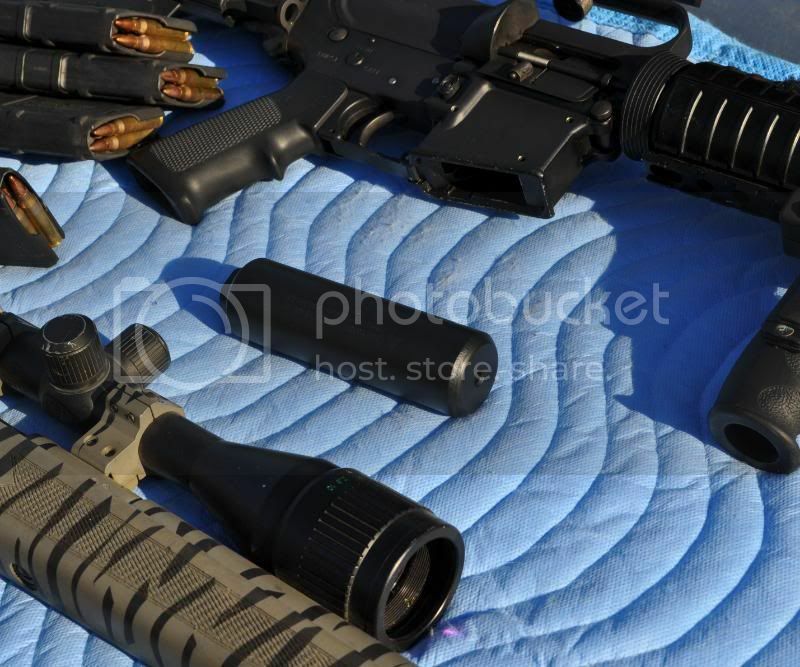 The GRUNT 5.56 Suppressor on a 10.5" SBR is shorter than a 16" barreled AR-15. 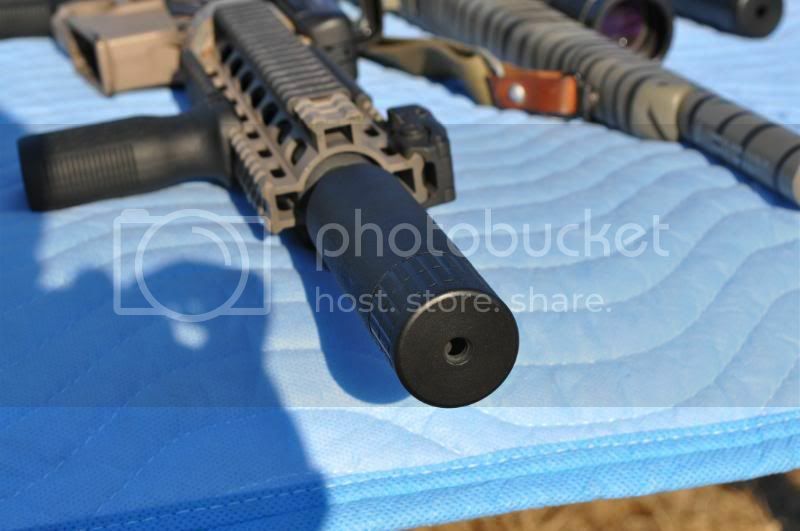 The "sleeve" on the Grunt suppressor in this picture is Patent Pending in a mulititude of configurations. The GRUNT and GRUNT mini hold their own with any suppressor I have tested. 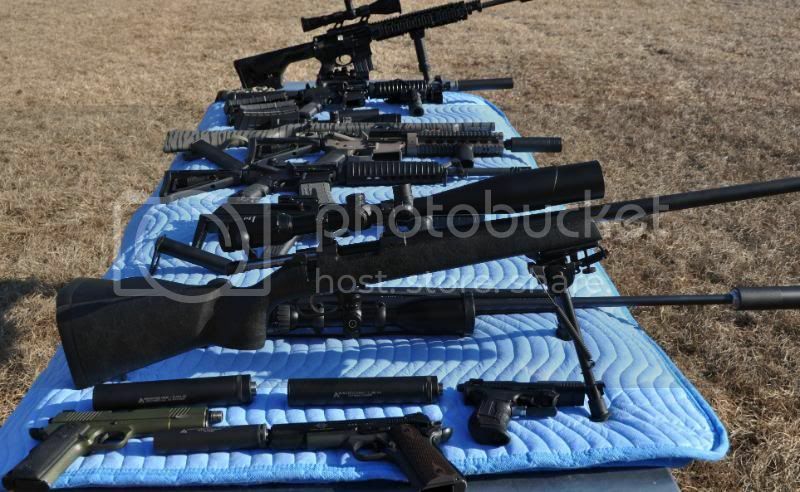 While these suppressors are thread on, Phil does offer different types of "QD" options. We all know that once a Suppressor is "hot" their is nothing Quick Detach about it. I think threaded suppressors sound superior to other attachment types. In conclusion I think Phil has a great product at a great price in both of these designs. Keep a look out on his website for more products. He has some interesting suppressor designs being released in the near future. 22cal Full Auto, integrally suppressed custom rifle built by Phil at Innovative Arms. One of a kind! I think we nicknamed it the "Garden Hose". This thing is a blast to shoot and wont break the bank. This rifle is very accurate and easy to control in Full Auto. If this thing ever goes into full production I will be adding one to the arsenal. The 45 Caliber SHEPHERD suppressor is 7.75", long 1.5" in diameter, and weighs 11.3 oz. It utilizes multiple highly modified "K" baffles. I have little experience with 45 cal suppressors. Phil explained to me that the 45 acp was difficult to suppress because of the large diameter hole needed for bullet clearance also allows gas from the fired round to escape which works negatively towards suppression. I think he may have been pulling my chain because he has accomplished a great level of sound reduction with his SHEPHERD. Not only is this thing quiet, It reduces recoil and is lightweight. As you can see from the videos the SHEPHERD is more like a "hushpuppy" and priced to fly off the shelves. 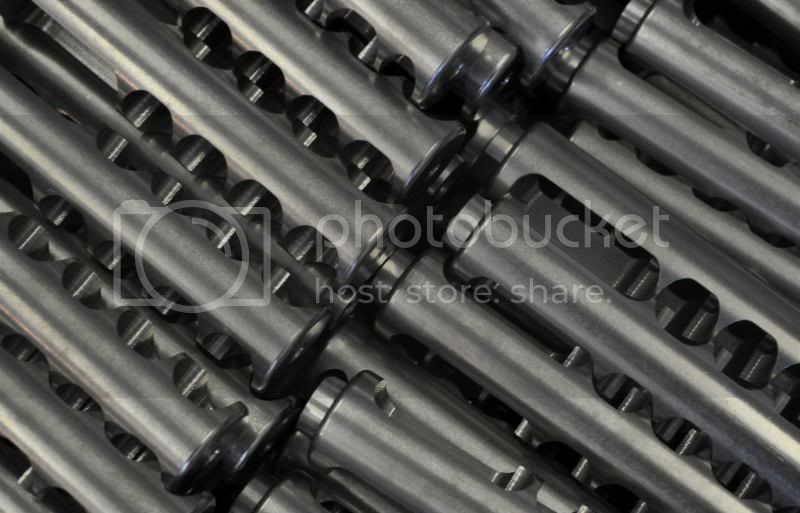 Bolt Open Photo...My first so I had to share. The LEX 9mm suppressor was one of my favorites, at 9.8 oz. it feels great in hand. Its 7.5" long and has a diameter of 1.37" making it a little easier to use the sites with both eyes open. I ran this suppressor on a Glock 19 and was able to bust clay pigeons at roughly 15 to 20 yards after getting use to the sites and trigger. 9mm Sub-machine gun suppressed TACHYON Gun-Cam footage. Glock 19 with LEX 9mm suppressor attached. I would also like to add that we used full powered ammo in all the weapons except for the Glock 19 test where we did use sub-sonic ammo. I didnt have a chance to bring the .308 and get pics and videos for you guys on the Remington 700 or AR10 but Innovative Arms do have a few videos on thier site. I can tell you when attached to a lightweight 30-06 the suppressor takes the recoil down compareable to a .243. 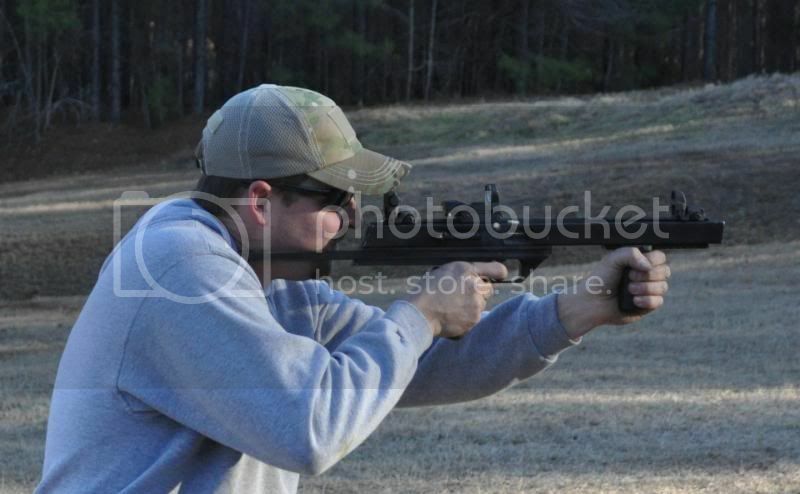 Its hard to explain but recoil is a gentle push instead of a violent punch with the LDSP suppressor attached. The LDSP 30 cal is 24 oz. and 8.5" long, It has a 1.5" diameter and comes in Earth, OD, and Matte Black. Innovative Arms LLC integrally suppressed 22 bolt action is unreal. A Daisy Red Rider is louder. The sound of the round hitting the berm was louder than the firearm firing. Their integral suppressor work is second to none. The Custom 204 Suppressor is an example that Phil really cares about his customers. Custom work takes alot of time reprogramming machines and T&E hours to get that perfect tone. If his customers want it, give him some time and he will crank one out for you. As you can tell from the video, his custom work keeps them coming for more. In Conclusion Innovative Arms LLC is a GO! They produce great products at reasonable prices. 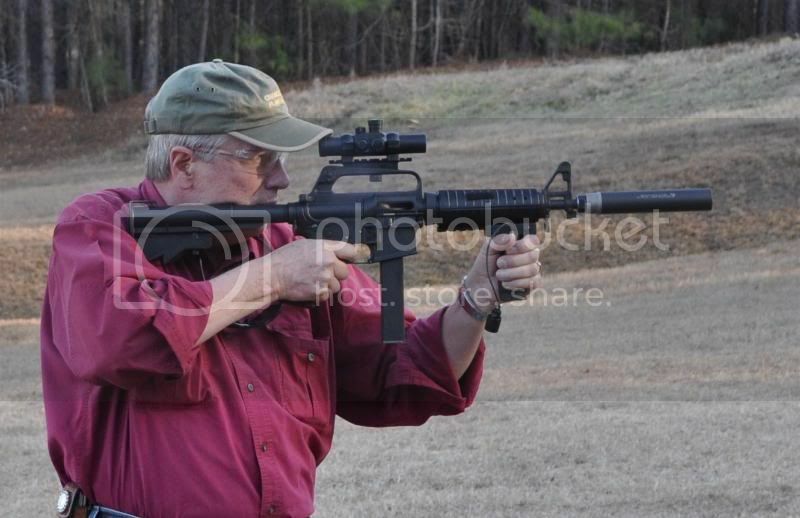 Phil is a true professional and maybe he can get his own "Sons of Guns" TV series. I look forward to his new products and watching this company grow into the mainstream. 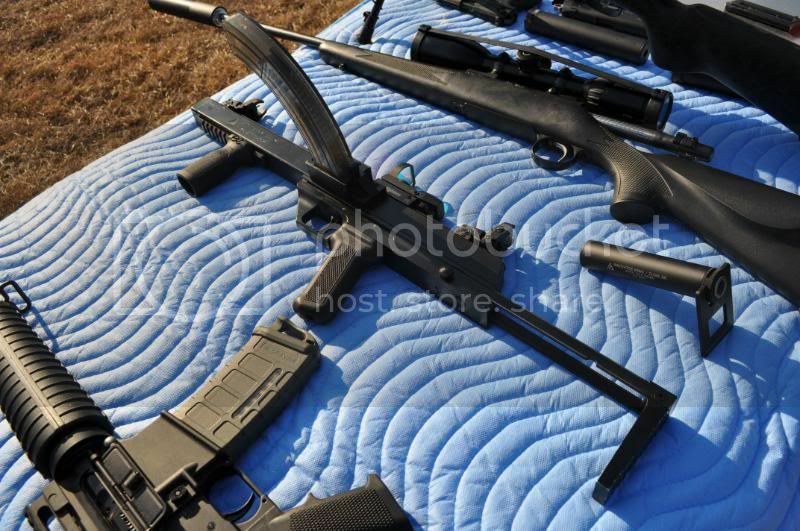 In a few years no doubt Innovative Arms will be as common in the firearms industry as Surefire and AAC.